BAM Viola Hoody. In Black, Contoured. 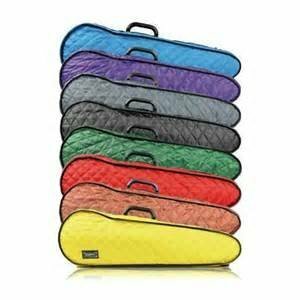 BAM's all new hoodie for the BAM Hightech Contoured Viola Case is designed to protect your investment in the high quality case. The hoodie features a soft, quilted exterior and a soft lined interior featuring the BAM logo. The hoodie will add extra protection against every day wear and tear, as well as inclement weather. These stylish add-ons are a must have when traveling with your instrument or experiencing harsh weather. NOTE: This product is not a universal size, and is sold as an accessory to the product specified. This product will not fit products of other brands/manufacturers.